Professor Vahle got her start in physics at New Mexico State University. She went on to the University of Texas at Austin for her PhD in particle physics. After a postdoc at University College London, she arrived at William and Mary. 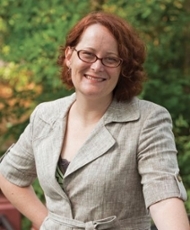 She is now the Mansfield Professor of Physics at William and Mary. Prof. Vahle is co-spokesperson of the NOvA neutrino experiment, an international collaboration of about 240 scientists working at 49 institutions.